One of the important lessons I have learned while working in a demanding career is taking some me-time at the end of the day. From morning to early evening I am on the go from attending and conducting meetings, product planning, running various analyses in software, plus juggling a thriving influencer career in social media. With all of this on my plate, it’s tough to harness a bit more energy to cook a meal. Especially when it’s Bachelor night. When my girls and I get together, we want something that’s quick, easy and delicious. 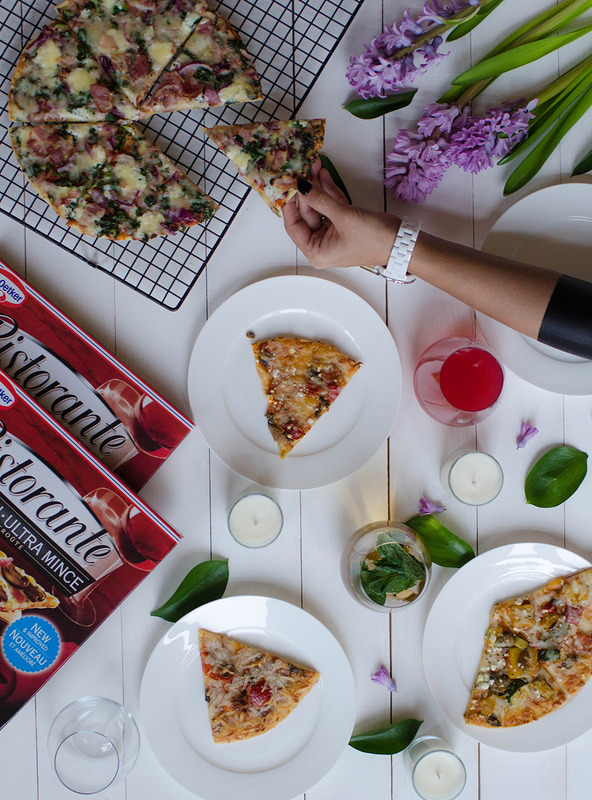 Lucky for me, I just partnered up with Dr. Oetker, so this is the perfect time to try out their new Ristorante Ultra Thin Crust Pizzas. 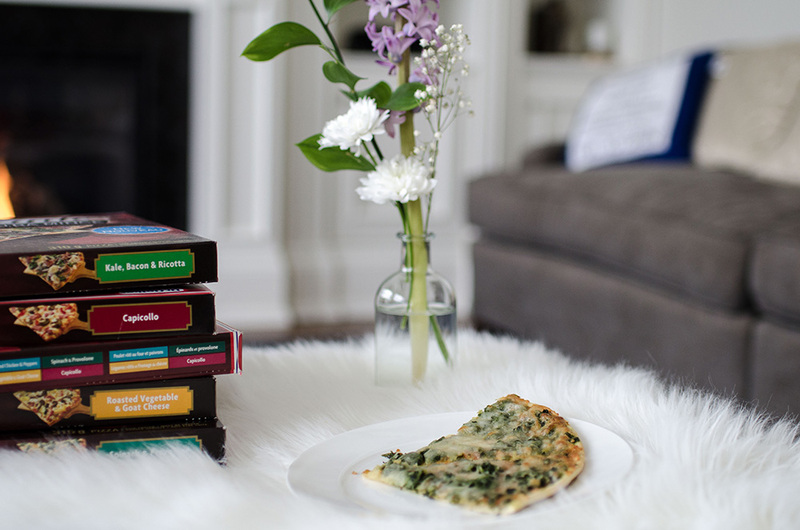 I recently stumbled upon the new collection of Ristorante Ultra Thin Crust Pizzas in the freezer isle and with the amazing price point, I grabbed all 6 flavors and headed to my girlfriend’s place for our weekly Bachelor date. 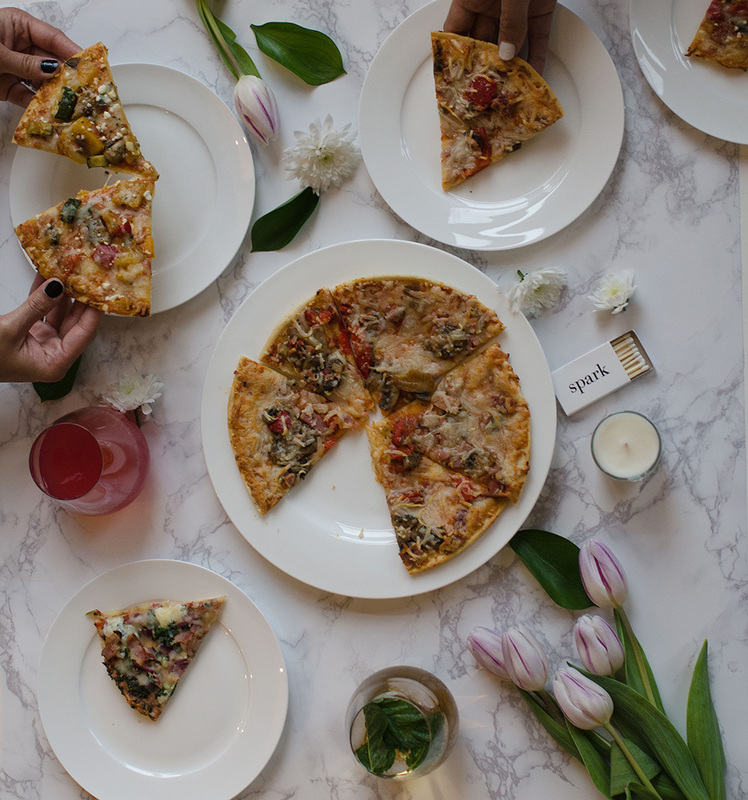 As soon as I got to her place, we popped them in the oven and in less than 12 minutes we had 6 piping hot restaurant style ultra thin crust pizzas ready to be consumed while we watched the bachelorettes battle it out for our bachelor, Nick. As most of you know, I delivered two beautiful babies less than 4 weeks ago. What you don’t know is that I had to find creative ways to indulge and carve out some me time. Bachelor night is one night, but let’s face it, I need more than one night of me-time. Part of what helps make this possible is when I can efficiently meal plan with zero effort. I can get back into meditating and bring some balance and harmony into my life with no worries about what I will make for dinner. I can log off and unplug while enjoying some quality time with my twins by going for a stroll in the neighborhood and maybe stop by my friend’s place and catch up on what’s new over coffee. And most importantly, I finally have the time to get back into Pilates to get my pre-pregnancy body back at hyper speed thanks to my instructor’s 3 month plan. When I opened the box, I was surprised with the topping to crust ratio. I have never seen pizza so ultra thin yet still loaded with toppings that looked, smelled and tasted fresh! It was like I just bought it from an Italian restaurant and they made it fresh a few minutes ago! The crust is also super thin and light. I bought all 6 flavors from the freezer isle and, to be honest, I can’t decide which one I like the most. For all varieties, the combination of toppings is unique and they somehow magically unite making the pizza interesting and delicious. I mean who has ever heard of an ultra thin pizza with spinach and provolone? Or how about roasted vegetable and goat cheese? And kale, bacon and ricotta? That’s what drew me to Dr. Oetker’s Ultra Thin Crust pizza. They offer interesting and unique combinations of toppings that synchronously work and have raised my expectations of pizza for life. So if you are like me and have a demanding career, take some time out and self-indulge. I indulge by curling up in my favorite chair near the fireplace and losing myself in a good book, or heading into my studio to paint. It’s the only time when I can relax and spoil myself. How do you indulge? This is a sponsored post for Dr. Oetker, but all opinions mentioned are my own. You make such a beautiful flatlay, nice to find your blog. Thanks for sharing this! It’s really hard to find good quality food that’s also quick and easy to make. My favorite way to indulge and wind down is binging on Friends on Netflix and having a reallllly good cup of tea. That pizza looks so yummy. It really is important to take little bits of time to slow down whenever and wherever you can. That pizza looks so delicious! I’ll have to look for it in stores. How did you get such great photographs! This looks like a lovely evening!